GMO is Marilyn Vine’s 2nd page on genetically modified organisms. 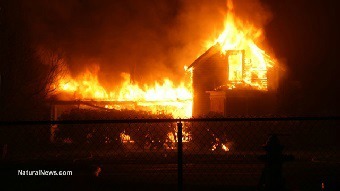 Click this link for page 1. GM Madness using the US Navy! Organic Consumers published an article on “Pandora’s potatoes”. Please click this link to go to the article so that you can click the various links contained therein. Click this link to learn how. Pesticide Action Network published this article “Court to EPA: Chlorpyrifos ban is on!”. Here is an excerpt and make sure you click the link to read the full story. “As of Thursday morning, the U.S. Environmental Protection Agency (EPA) has 60 days to finalize its ban of the neurotoxic pesticide chlorpyrifos. This was the ruling of the 9th Circuit Court of Appeals on August 9. The judges determined that EPA broke the law by allowing continued use of the pesticide despite scientific evidence linking it to harmful impacts on children’s developing brains. "Children, farm workers, rural families and science are all huge winners today,” said PAN’s executive director Kristin Schafer in a press statement responding to the court ruling. “Sadly, under this administration it takes judges to force our public agencies to stand up to corporate interests and do their jobs." Organic Consumers Association asks for your support. Click this link to learn more. The following link is a most important link. It relates to research that Nancy Swanson PhD and Stephanie Seneff PhD have undertaken with regards to the increase in chronic diseases in alignment with the introduction of genetically modified crops. Anyone with any concerns for their health and that of their families should take the time to read about their research and avoid genetically modified products in their diet. 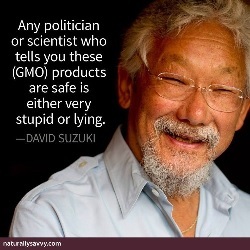 Sadly some countries do not insist on labels showing that genetically modified ingredients are contained in the product and some manufactures hide the fact that they do use GMO ingredients in their products. Wheat is not a genetically modified organism (GMO). 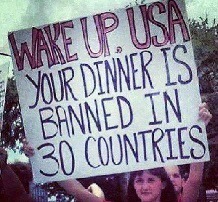 (However, it is sprayed w/GMO RoundUp). But evidence suggests that genetically modified foods, such as soy and corn, may help explain the recent explosion of gluten-related disorders, which now affect up to 18 million Americans. Experts agree that the recent increase in gluten-related disorders cannot be explained by genetics alone and that there must be some environmental trigger. 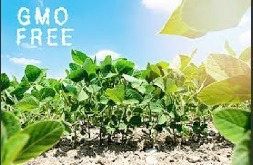 In this video, Jeffrey Smith, internationally recognized expert on genetically modified organisms (GMOs), and Tom Malterre, expert in clinical nutrition and a gluten-free lifestyle, simplify and clarify the potential connection between GMOs and gluten sensitivity. Dr. Tom O’ Bryan, thedr.com| Tom Malterre, MS CN, author, and physician educator.nourishingmeals.com Stephanie Seneff, PhD, Senior Research Scientist, MIT. NaturalNews dated 10 August 2017 published this article “GMO scientists just created “doomsday crops” containing RNA fragments that intentionally cause mass infertility”. Here is an excerpt from the article but make sure you read the full article and keep an eye on what information may end up being revealed. Has “Organic” become a dirty word in Sherman County, Oregon, USA? NaturalNews dated 18 May 2017 brings us this story “Sherman County, OR, considers making organic farming illegal, wants to FORCIBLY spray “rogue” organic farm with Roundup”. “While Oregon state laws used to mandate that farmers control certain noxious weeds including Canadian Thistle, Morning Glory and Whitetop, newly introduced regulations call for the total eradication of these invasive plants. Though Azure’s owners have used organic farming methods to keep these weeds under control for close to two decades, it is virtually impossible to totally eradicate them without using toxic chemicals. THIS IS ABSOLUTELY SHOCKING NEWS AND IF YOU LIVE IN OREGON YOU SHOULD BE CONTACTING SHERMAN COUNTY AND TELLING THEM TO BACK OFF!!!! For quite a while I have been reading how glyphosate has invaded our food chain and that there is hardly a food that you can buy that does not contain this toxic substance. The WHO believes that this substance is very likely carcinogenic. So why would you spray an organic, i.e. a pesticide clean farm, with a substance that is very likely to cause cancer to the people working on the farm and the people eating the produce??? I have a page on Glyphosate so click this link to learn more about its harm. Did you know it is even found in mother’s breast milk and we are now feeding it directly to our newborn!!! Click here to read what EWG had to say. 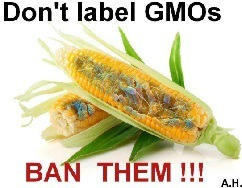 Click this link to read this GMO article. Jeffrey Smith discusses the differences between how genetically modified foods are viewed in this country versus Europe. He mentions how some that have spoken out against GMOs have had their work and careers derailed. Find out more about what Jeffrey calls the conspiracy that keeps GMOs in our stores and on our plates in this country! 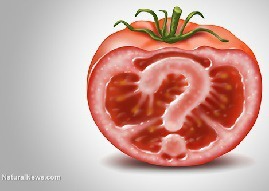 NaturalNews on 13 May 2016 brings information on FDA approval for GMO tomatoes despite studies showing that it caused stomach lesions and death in rates. The articles provides an excerpt from the book Seeds of Deception: Exposing Industry and Government Lies About the Safety of the Genetically Engineered Foods You're Eating. Make sure you click the link above to read the full article. Is the Zika virus a hoax asks Mike Adams from NaturalNews. NaturalNews on 11 February 2016 brings a very disturbing article on brain deformation in Brazilian children. 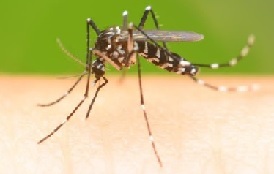 A group of South American doctors are now saying that the cases of microcephaly being found in these children is linked to the mass fumigation of low-income Brazilian people and not from mosquitoes carrying the Zika Virus. Somewhere in the myriad of pages on this website I covered the story of the release of genetically modified mosquitoes being released. I believe the original story was to do with malaria and my own personal thoughts were that if they could genetically modify mosquitoes to stop the spread of a particular disease then surely they must have the knowledge to genetically modify mosquitoes to cause infertility and thus the end of the mosquito threat! Now on 1 February 2016 NaturalNews provides information that the latest outbreak of a disease - Zika virus – may be related to these GMOs. 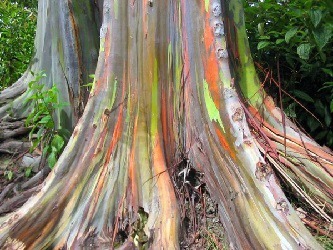 Why are we changing plant’s natural ability? GreenMedia on 21 December 2015 provides an article about how “Research Reveals Plants Can Think, Choose & Remember”. Why do we always think we know better than nature? “Thirty-five types of pesticides, including acaricide [kills ticks and mites], insecticide, and fungicide, were sprayed several times in the Bt brinjal fields," the report reads. None of these pesticides were on the list of chemicals officially recommended for eggplant cultivation in Bangladesh. Five were insecticides that are actually banned in the country. 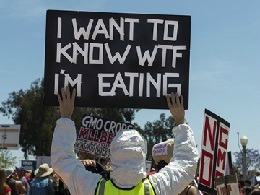 The farmers were then given "pesticide-free" signs and told to use them to market their crops. 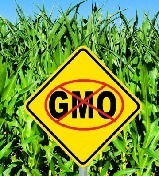 The crops were also sold without being labeled as GM, in violation of government rules. In spite of these measures, farmers reported low yields and losses of Tk. 15,000–30,000 (US$ 192–385). Farmers in similar regions growing non-GM eggplant reported profits of Tk. 70,000–100,000 ($898–1,280). Is France starting to rebel? “Although this could be the first arson of a French Monsanto facility, the action – if politically motivated – is far from that country's first radical act of resistance to Monsanto and genetically modified organisms. Marilyn Vine urges you to learn what Dr Null has researched. His information could save the lives of you, your family or a friend. Make sure you share this link with others so that the word becomes more wide-spread to counteract the mis-information we are all fed by the mainstream media. 28 April 2015: Dr. Bob DeMaria discusses genetically modified organisms. 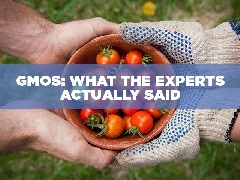 Find out why plants are modified and what that might mean to people that eat them. Dr. Bob talks about the increased number of conditions that people have and how that might be related to Genetically Modified Food. Click this link to Read the full article and learn of the stores now just selling organics. Please support these brave people going the organic way as this will surely defeat the GMO brigade and help improve the health of the people. Please share the information you have learned with your family and friends – especially Dr Null’s report.